Project Spark players can grab Conker Play & Create Bundle for free through this weekend. After that, you will once again have to pay for it. 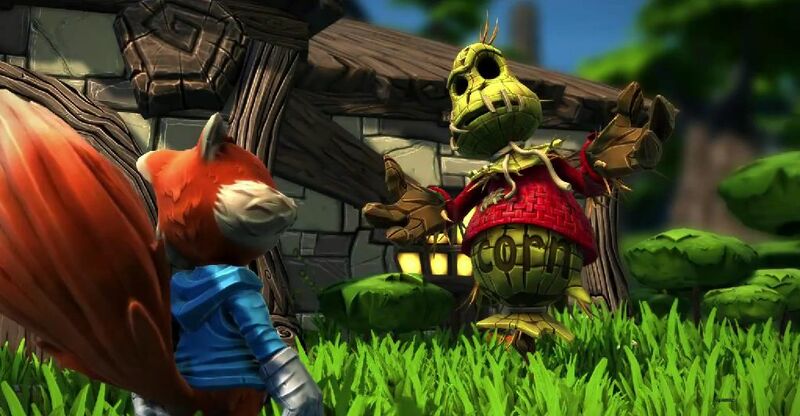 Conker Play & Create Bundle contains both the creation kit and Conker’s Big Reunion. The content can be grabbed through the in-game marketplace for one credit/token. If you have yet to purchase the game, know that in order to gain access to the Conker content, you will have had to finish the tutorial, which according to NeoGAF will take you around 45 minutes. “We wanted to take this opportunity to celebrate Rare Ltd. and their success with Rare Replay. What better way to celebrate than sharing Conker with as many creators as possible? Starting at 12:00am UTC this Friday (August 14th), the Conker Play & Create Bundle will be marked down to 1 credit/1 token in our in-game marketplace. Team Dakota announced Conker’s Big Reunion back in March as an ongoing episodic series for release on April 23. It contains original assets to Conker’s Bad Fur Day which was handed over by the character’s original developer, Rare.